Taking your CBT Training in Harrow will provide you with the skills and knowledge to beat city traffic and arrive at your destination faster and happier. Here at RideTo we have a number of CBT test centres in and around Harrow that will get you on two wheels in no time. Our closest CBT test centre is Alpha Motorcycle Training, located a short walk from North Wembley tube station. Alpha have been providing motorcycle training in Wembley for a long time and pride themselves on their friendly and professional atmosphere. Universal Motorcycle Training are located in Edgware. Their training facility is second to none and features a large off-road training area as well as an on-site cafe. The local roads are quiet, which makes them ideal for your first time riding on the road. Universal are MCIAC Approved, which means they provide some of the best motorcycle training in the country. North London Motorcycle Training are a long established school also based in Edgware. The instructors are patient and friendly, and there’s a motorcycle shop on site. 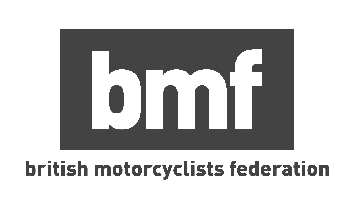 CBT stands for Compulsory Basic Training, and it’s the minimum level of training you must complete to ride a motorcycle or scooter on the UK’s roads. There’s no test involved, which means you can’t fail and the whole process only takes a day. You need to be at least 16-years-old and on the day you’ll learn how to ride a motorcycle or scooter confidently and safely on the road. Riding a motorcycle or scooter means you’ll be one of the smallest vehicles on the road. With that in mind, you’ll want to make yourself visible, so think about hi-vis clothing, bright, or reflective accessories. Your positioning on the road will make a big difference, too. Stay away from the kerb, and position yourself in the middle of the lane. If you ride too close to the kerb, impatient drivers will see that as an invitation to squeeze past when perhaps they shouldn’t. When it comes to your positioning on the road you’ll also want to think about the larger vehicles, such as vans, lorries and buses. These vehicles are long, and for the most part only have wing mirrors, which means you might not always be visible. To ensure you stay visible make sure you leave plenty of space behind the vehicle, and that you can always see at least one of the mirrors. The most important piece of advice for riding in London is to be patient. London’s roads are full of people in a rush who don’t give much thought as to how their decisions will affect other road users around them. But if you remain patient and ride at your own pace you’ll arrive at work in good time. See our in-depth guide for more tips to riding your motorcycle in London.